Last month I shared several new pieces from Harper Trends clothing. Today I’m sharing my newest spring dress (the Lace T-Back Dress), styled two ways. One for cool spring evenings and another for summer-like spring days. When looking at the product page before ordering my dress, I knew the top would not fit or flatter my nursing Momma curves, but I love the layered lace look I’ve seen all over Instagram and Pinterest lately. I thought it would be a perfect piece for layering, rather than wearing alone. From vintage, to bohemian, and country chic, or even a fancy night out, this piece has so many possibilities! 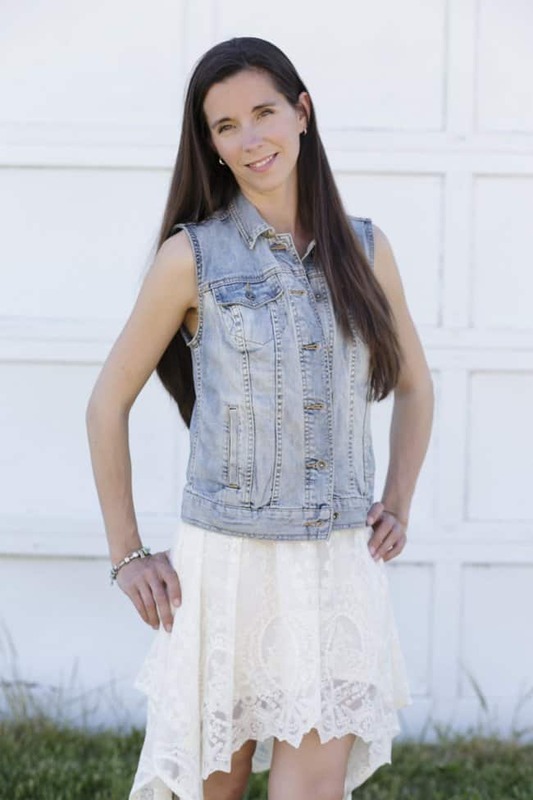 For a warm spring evening out, the simple addition of a jean vest is perfect for a fun feminine outfit. Just check out that fun hemline! With spring here, many events are hosted outside, but the weather often dips to downright chilly in the evenings. 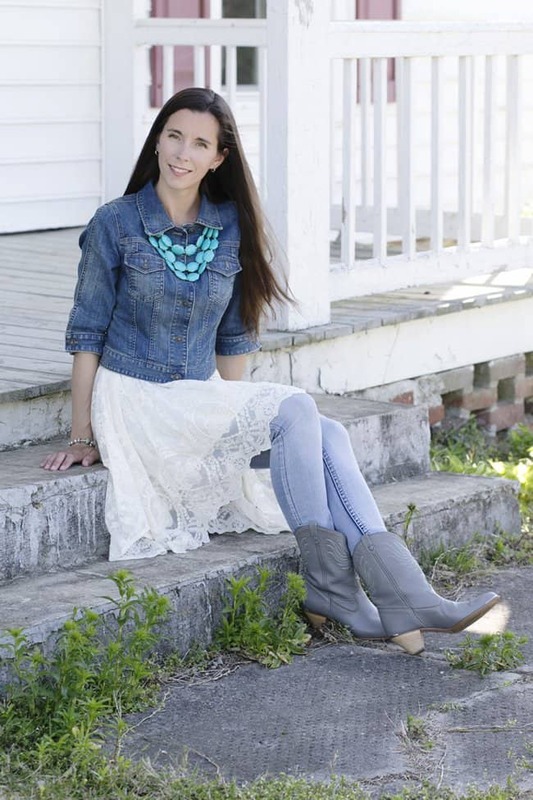 I added a denim jacket, statement necklace, cowboy boots, and a my favorite pair of jeans to the lace dress for a great outdoor concert outfit. I absolutely love the lace skirt on this dress- look at that gorgeous lace! I started with what I already had in my closet and created two fun looks already. I can’t wait to do some shopping to create even more outfit options for the dress. A short pastel tank layered over the dress will create a fun bohemian look, while a simple shrug will be perfect for dressy occasions. Visit Harper Trends to score your own Lace T-Back dress and other gorgeous spring pieces! 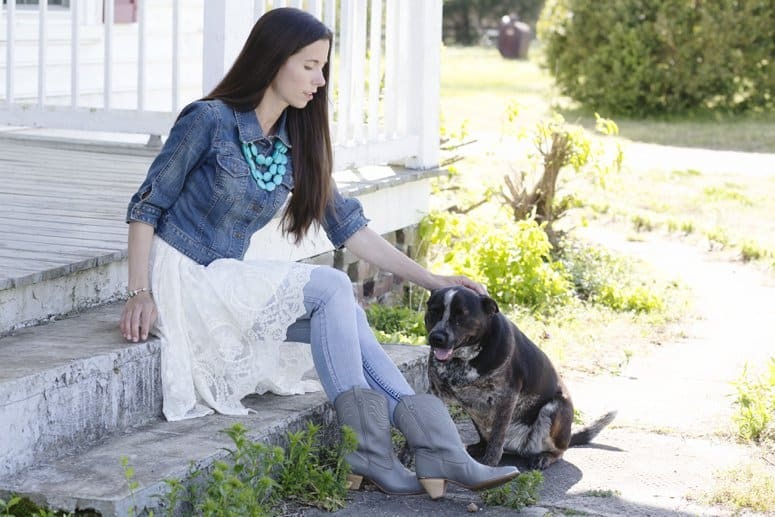 You can also enter to win a $100 gift card to Harper Trends here.